Are Callan and Hanna still a well-oiled team in the ninth season of the NCIS: Los Angeles TV show on CBS? As we all know, the Nielsen ratings typically play a big role in determining whether a TV show like NCIS: Los Angeles is cancelled or renewed for season 10. Unfortunately, most of us do not live in Nielsen households. Because many viewers feel frustration when their viewing habits and opinions aren’t considered, we’d like to offer you the chance to rate all the NCIS: Los Angeles season nine episodes here. A CBS military police procedural, NCIS: Los Angeles stars Chris O’Donnell, LL Cool J, Linda Hunt, Daniela Ruah, Eric Christian Olsen, Barrett Foa, Renée Felice Smith, and Nia Long. The action drama centers on the high-stakes NCIS division, charged with apprehending those elusive criminals who threaten the nation’s security. Working undercover with advanced technology, these highly trained agents readily risk their lives to bring down their targets..
What do you think? Which season nine episodes of the NCIS: Los Angeles TV series do you rate as wonderful, terrible, or somewhere between? Should CBS cancel or renew NCIS: Los Angeles for a 10th season? Don’t forget to vote, and share your thoughts, below. 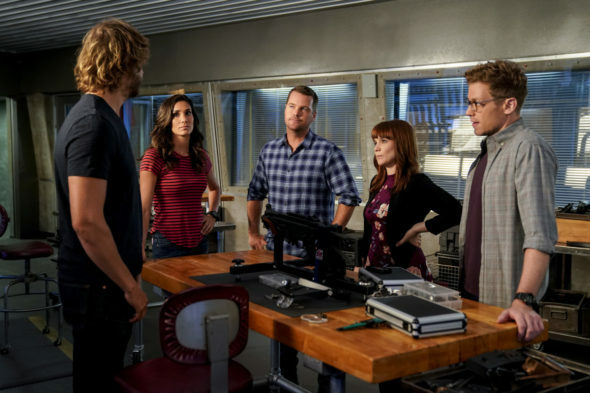 More about: NCIS: Los Angeles, NCIS: Los Angeles: canceled or renewed? Love the Show …when is it ending ? Yes renew the show! Get rid of Mosley.